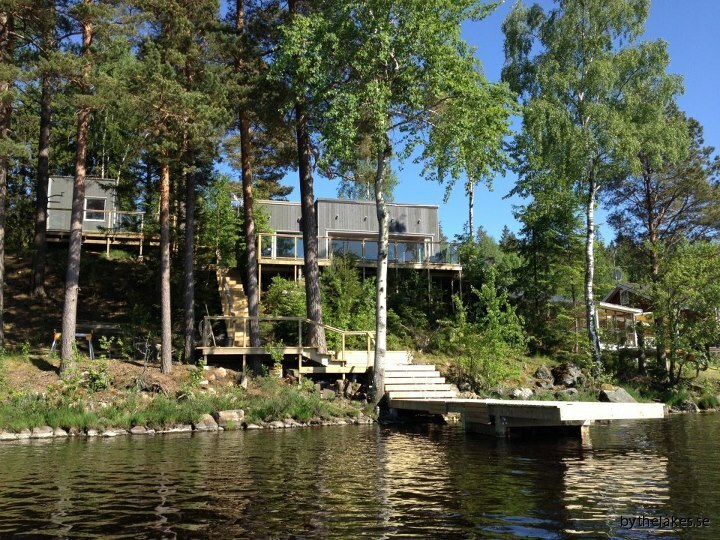 This contemporary open plan summer house is situated up on a hill, surrounded by forest and with an amazing panoramic view over the lake. 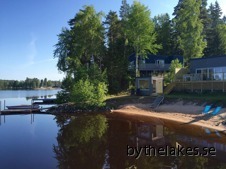 Generous wooden decks in three directions catching the sun all day, private jetty and sauna. Next to The Beach House. Luxurious open plan house in a cosy garden and it's own private sandy beach. Big floor-to-ceiling windows creates a bright ambience and a lovely view over the lake. Generous entertaining area overlooking the lake.